Description: River Oak Academy is a business categorized under schools, which is part of the larger category elementary and secondary schools. River Oak Academy is located at the address 3355 State Rd 13, Jacksonville, St. Johns, FL 32259, USA in Jacksonville, Florida 32259. The Owner is River Oak Academy who can be contacted at (904)770-5559.
Review: Child Care Preschools In Jacksonville FL - A school for 3 to 11 year olds. We believe in authentic and purposeful learning that creates a lifelong foundation, a life of joyful curiosity and creativity. We help students to be Kind, Confident, Creative, & develop their skills in a friendly learning environment. 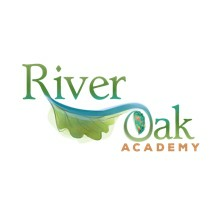 Location & access map for "River Oak Academy"